Lowestoft Town are set to put their faith in youth as they look to become the "third choice" for young players in East Anglia. Craig Fleming, in his new role as director of football, has laid down the foundations of a new youth setup at Crown Meadow. And the former Norwich City defender wants to attract future stars. 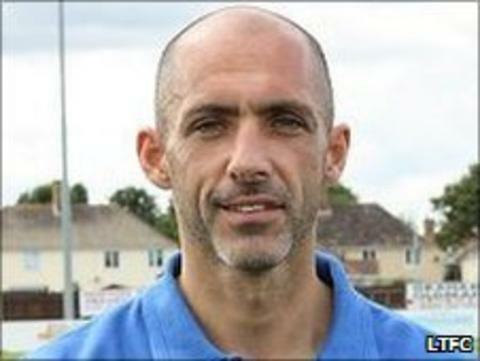 "Hopefully, by word of mouth, we'll attract the best players in the area," he told BBC Radio Norfolk. "I'm hoping we'll be the next port of call for boys who aren't good enough for the Norwich or Ipswich academies." With one Football League side in each of Norfolk and Suffolk, Lowestoft's position close to the border of the two counties puts them in a prime location to pick up youngsters who drop out of the systems at Norwich and Ipswich. And the Blues, who have won two promotions in the last three years and only missed out on a place in the Blue Square Bet North last season after a play-off final defeat, are eager to translate their first team success into a centre of excellence. "The last few years we've risen through the leagues rapidly to the detriment of the youth setup and other things," explained Fleming. "We're going to make a real push to get the youth setup really buzzing. "They'll have sport scientists, goalkeeping coaches and a lot of input from myself and the first team boys. "It doesn't cost money, you just get the right people in that want to do it." Lowestoft also intend to enter a team into next season's Suffolk Women's League.